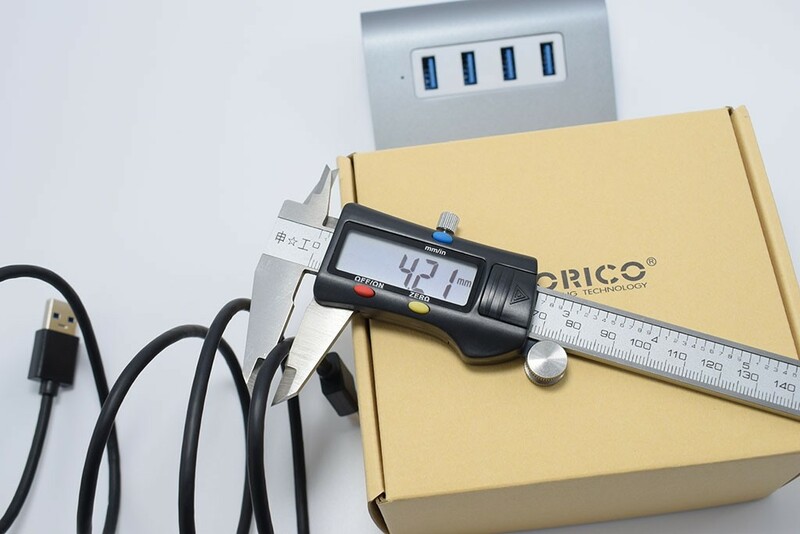 Examining the ORICO 4 Port USB3.0 Hub - 网友心声 - 充电头网论坛 - Powered by Discuz! 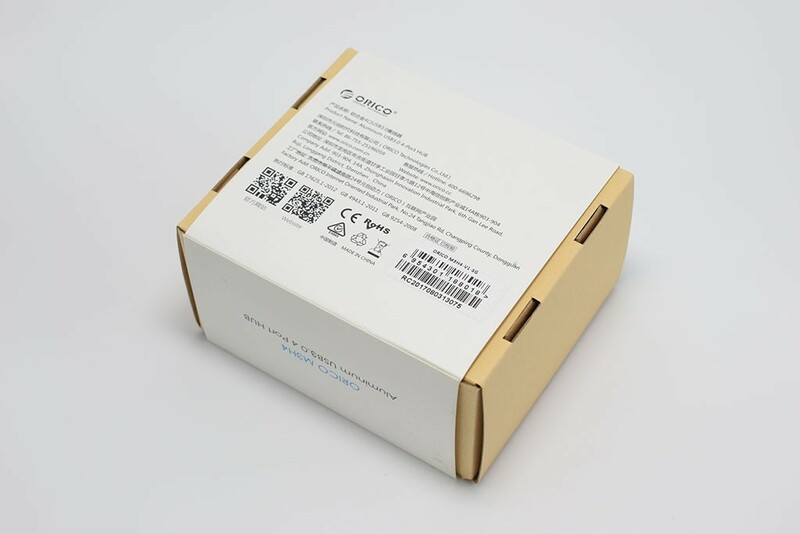 ORICO Technologies Co., Ltd. is one of the leading global manufacturers of computer components and digital accessories. 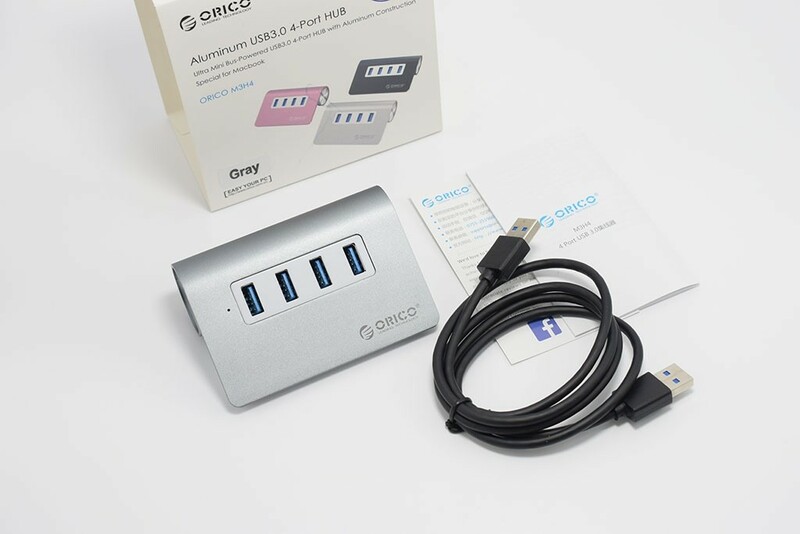 Its products have established substantial market share abd today we are going to take a look at the ORICO 4 Port USB3.0 OTG Hub M3H4 (I know it’s a long name). 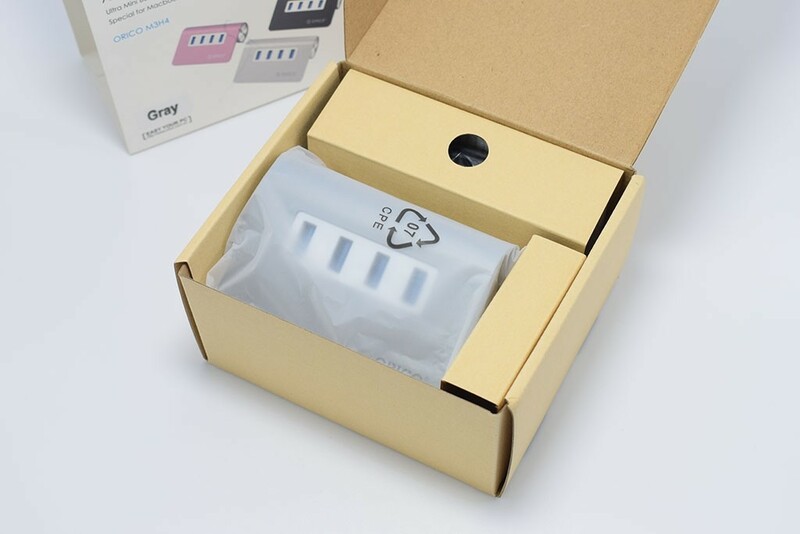 Like usual, ORICO’s packaging is made out of eco-friendly material. The product information is printed on the back. 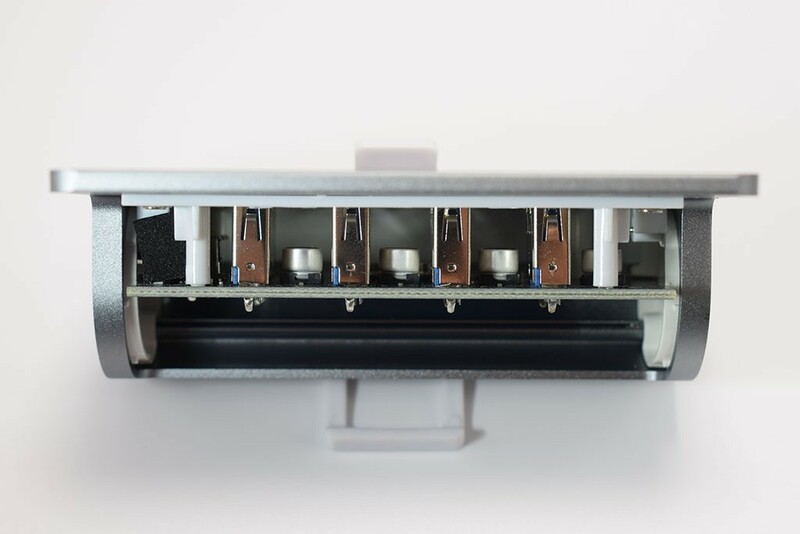 This is a4 port USB3.0 hub, with a maximum transfer rate of up to 5Gbps. You have probably already seen this hub somewhere online already because this is the most commonly seen hubs on the market. 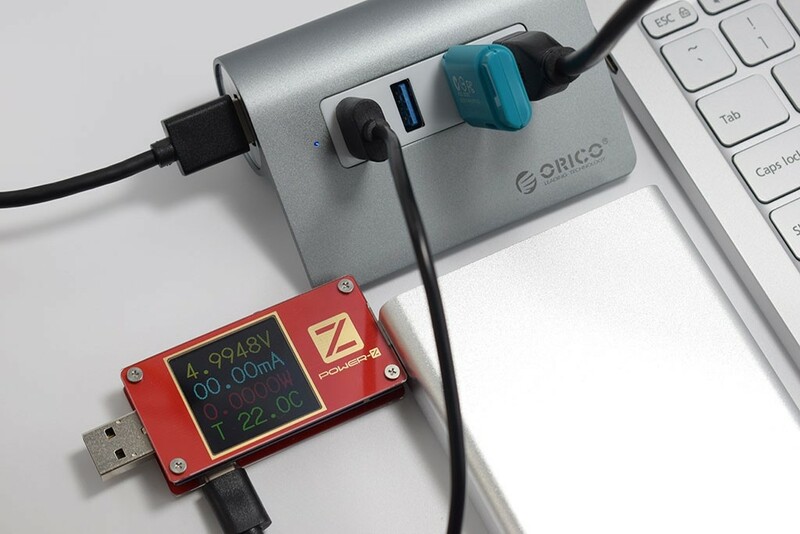 ORICO recently also launched the M3H4 G2 to support the latest USB3.1 Gen2, which has a theoretical maximum transmission speed of up to 10Gbps. The interior is cleverly protected by corrugated cardboard that serves as cushioning protection. 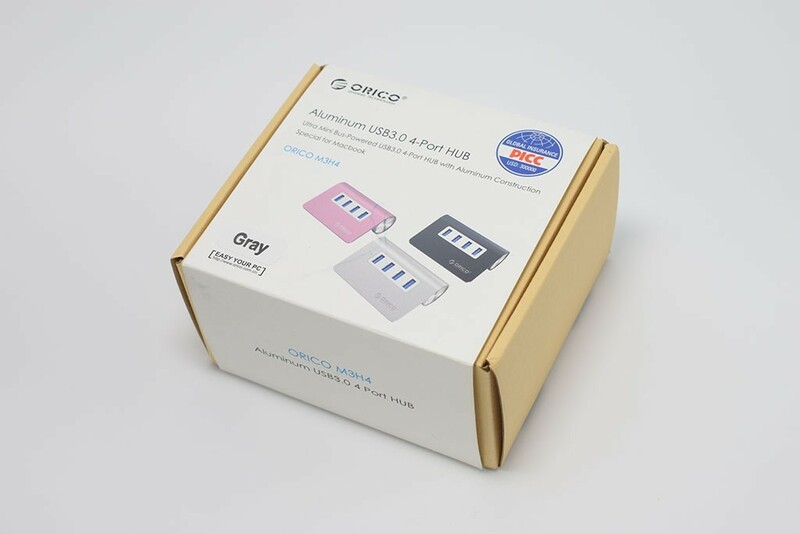 The main body of ORICO hub is made out of aluminium alloy and comes in 4 different colors: silver, dark grey and pink. 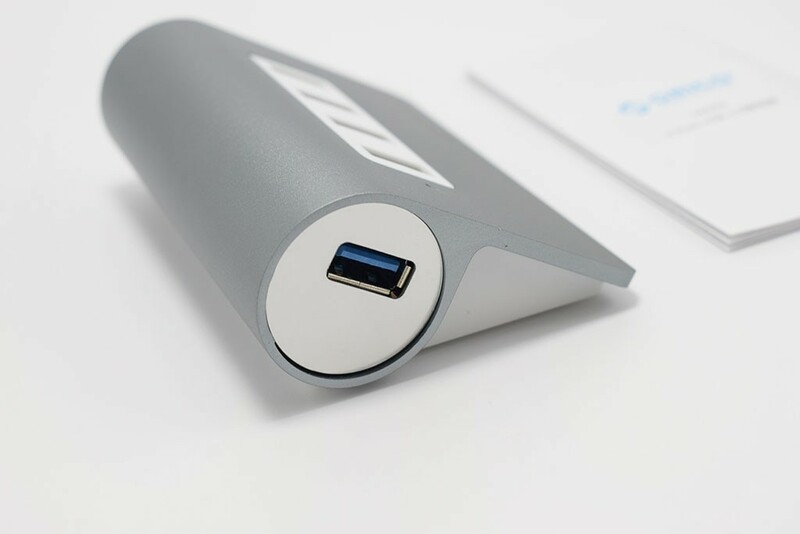 It also comes with an A-A USB3.0 cable. 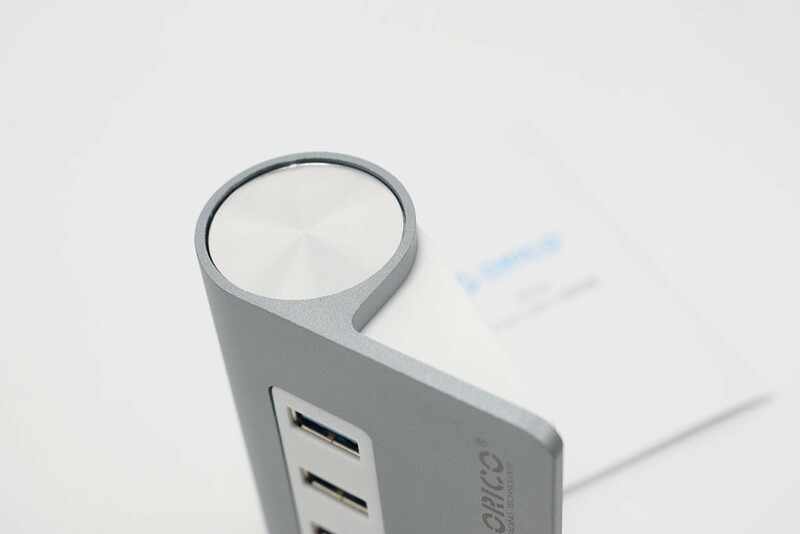 The aluminium alloy adds a metal texture to the Hub and the 4 port horizontal USB interface adds to the overall simple and elegant design. There is a LED light to indicate when the power is on. However, the light only indicates the power is on and not for data transmission. 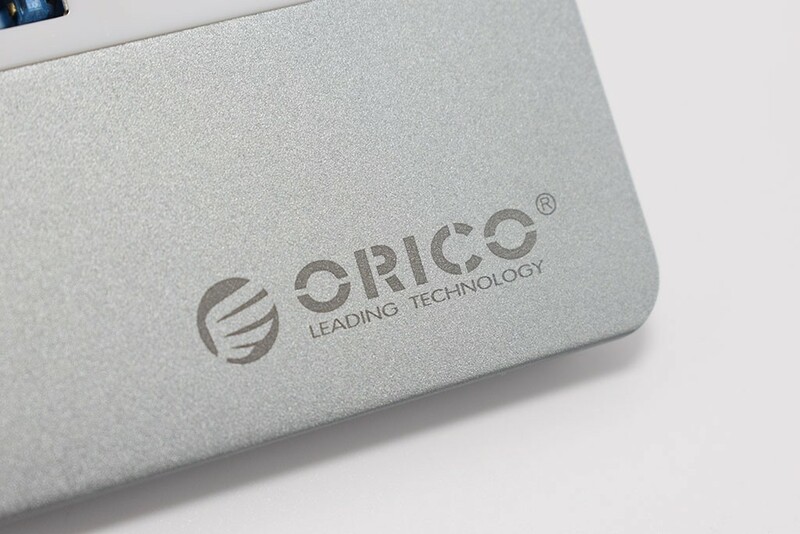 The logo of ORICO in light grey is laser-engraved at the bottom right corner. 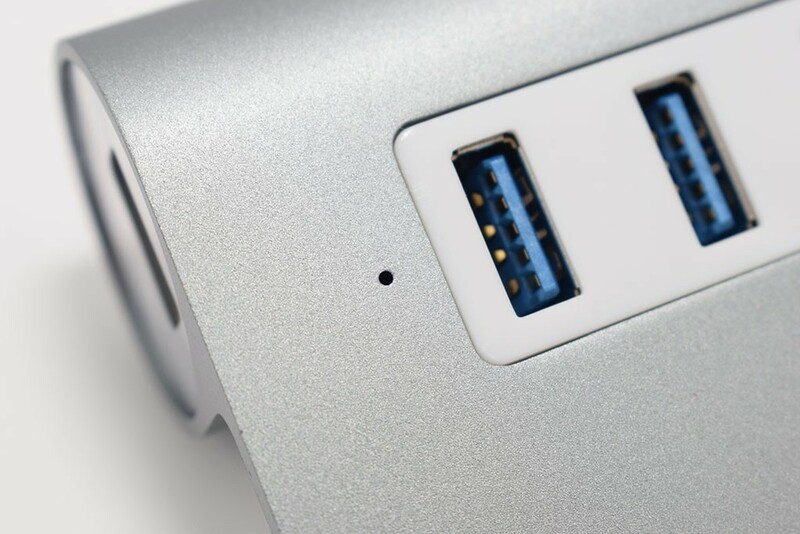 The USB3.1 type mother port is on the left-hand side. The separate design can further reduce the size of the HUB. The opposite end is just a circular silver seal and does not have an external port. The bottom has two wide rubber strips to stabilize the Hub and make it non-slip. 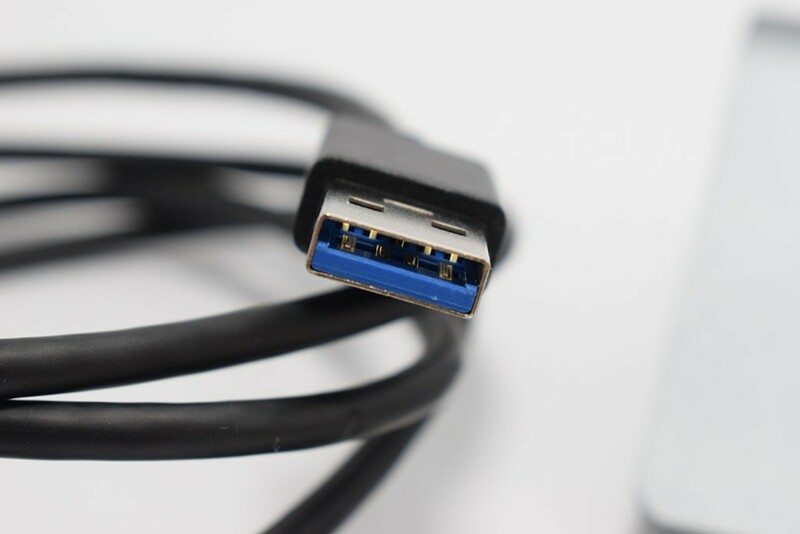 This is a 10-touch points USB 3.0 data cable. The length of the cable is about 1m with a thickness of 4.2mm. In addition to the aluminium alloy case, it is worth noting that this HUB features a 15-degree incline to make it more ergonometric. From my experiences, this series of hubs are the most comfortable desktop hub I’ve used. However, it’s still a hub and requires cables and managing all the cables can be a bit bothersome. No drive needed when using the hub on Win 10; both hard drive and SSD work efficiently. 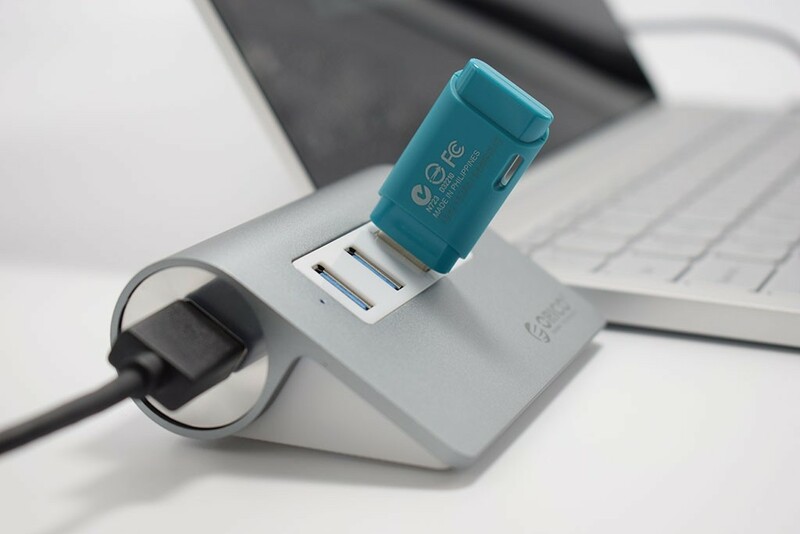 Although there is no external power supply, you can easily connect a 2.5-inch external hard drive without lowering the power voltage. Although not pictured, we also used a self-assembly SSD hard drive to test the read/write functions by testing the Xiaomi Air to see the reading/writing speed of the USB 3.0 port. 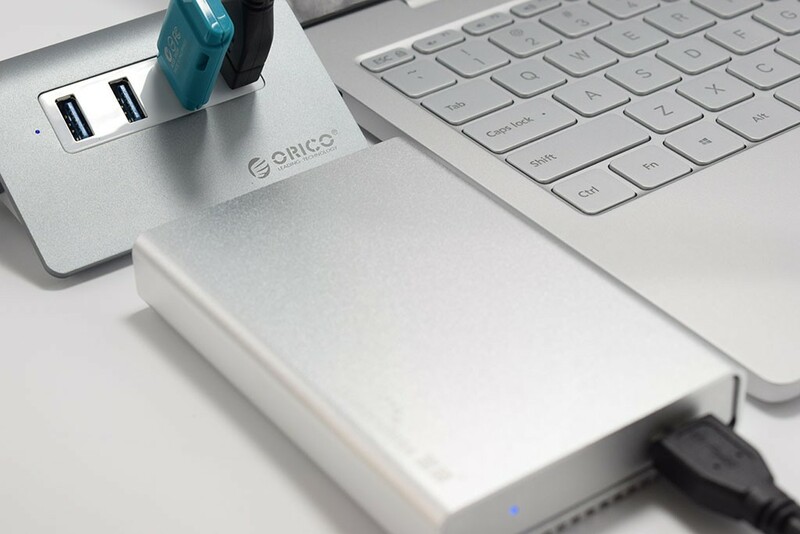 We found that the reading/writing speed of the Orico M3H4 HUB through the SSD hard drive; the difference between the two is not significant. Remove the rubber base and four screws; you can open the back cover. 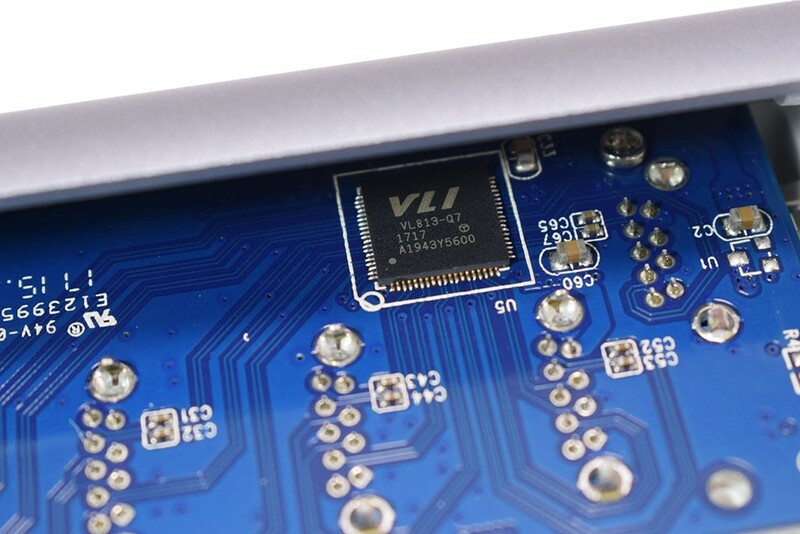 The bridge chip is VLI VL813-Q7, a master control board of USB3.0. 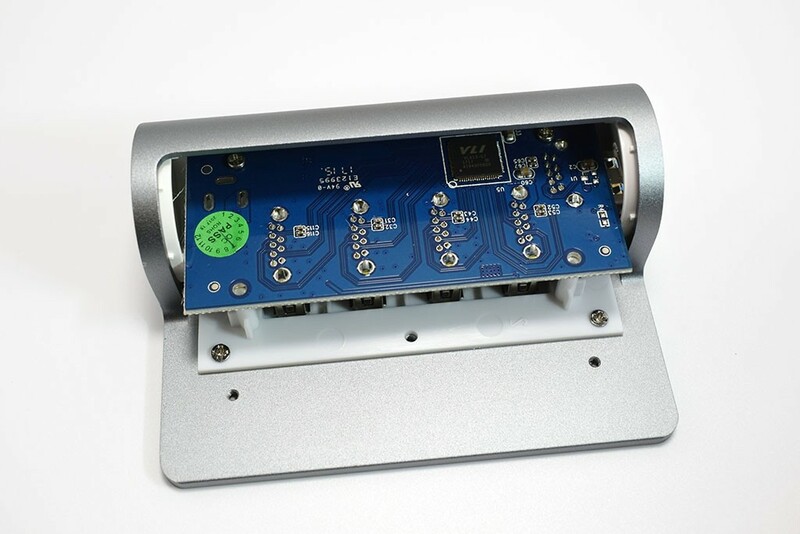 On the front of the PCB, there are an electrolytic capacitor and vertical mounting USB socket. 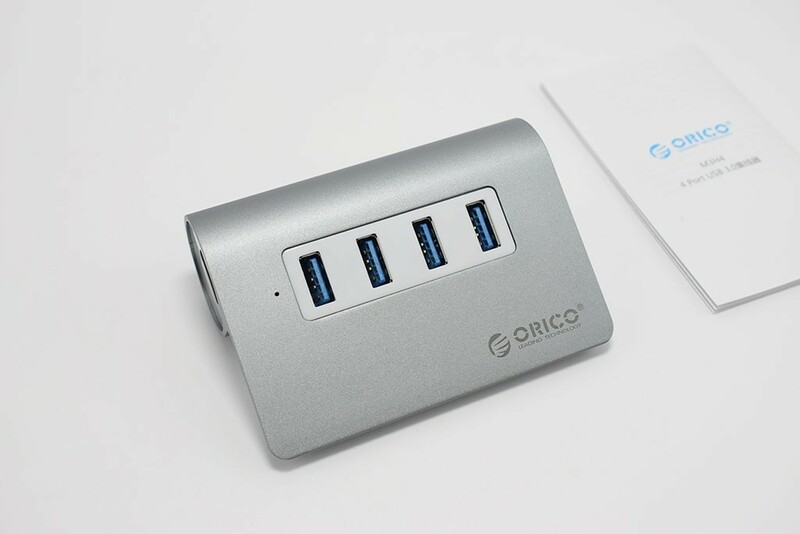 The ORICO 4 Port USB3.0 OTG Hub features no external power supply, simplifying the circuit board, but it can easily connect to a 2.5-inch mechanical hard drive. The aluminium alloy case has a good texture and a 15-degree inclined; a good ergonomic design. 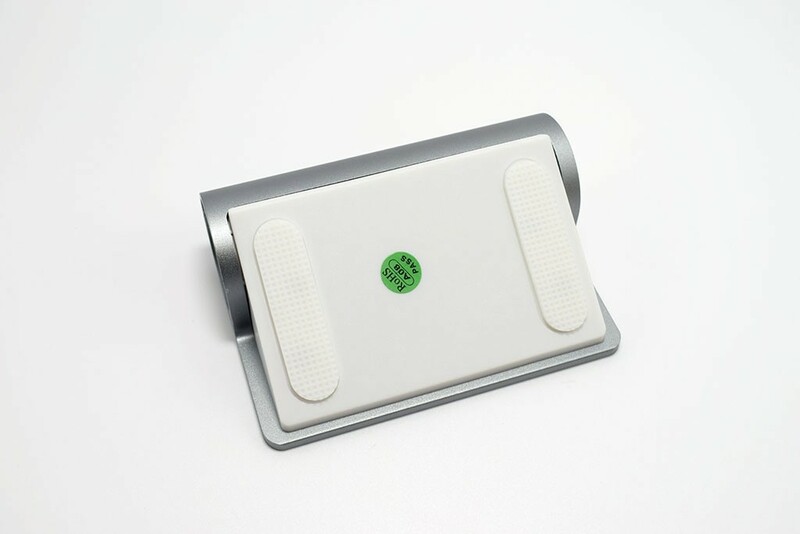 Speed ​​test is in line with the product information and the overall performance is excellent.